Administrative Law Judge (ALJ) Stella L. Owens-Murrell, Office of Administrative Hearings (OAH), State of California, heard this matter in Bakersfield, California, on September 13-14, 2011. Advocate Donnalee Huffman, represented Student. Mother (Parent) was present throughout the hearing. On July 19, 2011, District filed a request for due process hearing (complaint). The matter was continued on August 8, 2011. Oral and documentary evidence were received at the hearing. At the close of the hearing, the matter was continued to October 5, 2011, for the submission of closing briefs. On that day, the briefs were filed, the record was closed, and the matter was submitted. 1. Whether District may assess Student, without parental consent, in the areas specified in the assessment plan dated March 16, 2011? 1. Student is three years of age and resides within District’s jurisdictional boundaries with his parents. Student has only attended a private preschool, and has not attended any District school. Student has not been determined eligible for special education services and is not currently receiving special education services. 2. 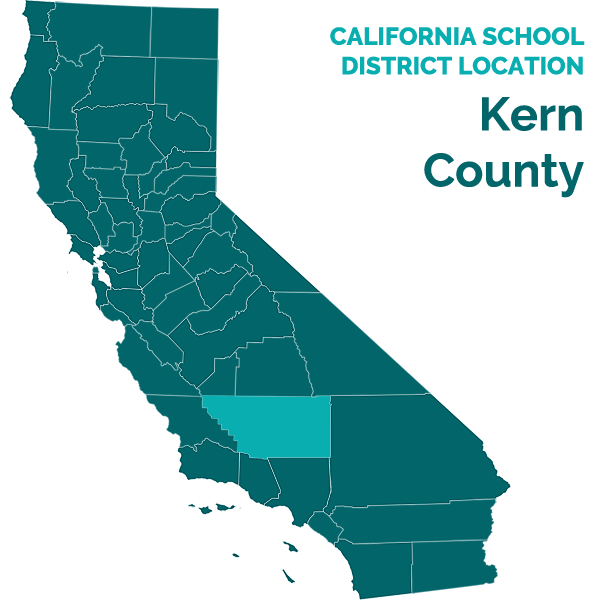 On February 16, 2011, District received a search and serve referral from the Kern County Consortium Special Education Local Plan Area (SELPA) and the Kern County Superintendent of Schools (KCSOS) regarding Student. Based upon information provided to KCSOS from Affiliated Speech Pathology (ASP), which Parent retained to provide speech and language services, Student had a speech and language deficit. The referral information also indicated that Student had a bilateral myringotomy2 in October 2010. Following the procedure, Student’s speech improved slightly but generally remained unclear. Student was also a client of the Kern County Regional Center and receiving services as a child with a pervasive developmental disorder (PDD). 1 District requested a determination or declaratory judgment that District timely provided records in response to Parent’s request for educational records. At the hearing the undersigned ALJ invited the parties to show why this issue should not be dismissed for lack of jurisdiction under Education Code Section 56501, subdivision (a), which provides that the subject matter of IDEA due process complaints is limited to: a proposal or refusal to initiate or change the identification, assessment, or educational placement of a child; the provision of a free appropriate public education (FAPE) to a child; the refusal of a parent or guardian to consent to an assessment of a child; or a disagreement between a parent or guardian and the public education agency as to the availability of a program appropriate for a child, including the question of financial responsibility. The parties asserted that the issue related to a possible procedural violation. The issue was taken under submission. The ALJ has determined that the issue does not meet the requirements of Education Code section 56501, subdivision (a), such that it will be dismissed and will not be discussed in this decision. District filed the complaint, not Student. If Student had an issue with document production, Student was, and still is, free to file Student’s own complaint. As to District, District’s complaint does not allege any issue regarding eligibility, assessment, or the provision of a free appropriate public education (FAPE) to Student because of District’s alleged failure to timely provide records in response to a records request by Student. In essence, District is seeking a factual finding that it properly complied with a document request from Student without alleging a cognizable legal theory for hearing. In addition, neither party presented any relevant evidence at hearing concerning any alleged denial of FAPE related to the District’s response to Student’s request for documents. Thus, issue two is dismissed, both for failure to raise a legal issue that is cognizable at hearing, and because no evidence was presented at hearing to support it. 2 A myringotomy is a surgical procedure in which a small incision is made in the eardrum (the tympanic membrane), usually in both ears. This is done so that fluid trapped in the middle ear can drain out. In many cases, a small ventilation tube is inserted into the hole in the ear drum. The tube helps to maintain drainage. This surgery is most often done on children. (Wikipedia Encyclopedia, www.wikipedia.org) needs, and the most appropriate program to meet the identified needs. Parent initially agreed to the health and speech and language assessment, but told Ms. Riffle that she would not agree to a cognitive assessment by District. Ms. Riffle scheduled another meeting, which Parent agreed to attend on March 16, 2011. 3. On February 24, 2011, District staff contacted Parent to conduct an intake interview. Lisa Riffle, District’s Speech and Language Pathologist, reviewed the intake information, and noted Parent’s concerns that Student had been receiving services from ASP, but the services would be ending soon. Parent wanted Student to continue speech services with District. The intake information also revealed that Student tried to verbalize, but did not enunciate clearly. Parent also described Student as hyperactive. Ms. Riffle referred the intake information for review by the Special Education Director, who would determine whether Student required a screening or any further action. 4. On February 28, 2011, District contacted Parent to schedule a speech screening, which was scheduled for March 9, 2011. 5. On March 9, 2011, Ms. Riffle, who was a credentialed speech and language pathologist with District, met with Parent and Student. Parent signed the consent form for a preliminary evaluation of Student’s speech and language skills. Ms. Riffle conducted the speech and language screening to determine if Student required a comprehensive assessment. 6. Ms. Riffle completed a Preschool Intake Form by obtaining family medical and developmental history from Parent. Ms. Riffle noted on the form that Parent’s areas of concern for Student were that his speech was unclear and the need for ongoing speech and language therapy. The family history included a sibling with autism and other relatives, including Parent, with learning disabilities. 7. Ms. Riffle also administered the Preschool Language Scale-Fourth Edition (PLS-4), and took a language sample from Student. The Preschool Language Scale consisted of six sections including language, articulation, connected speech, social/interpersonal skills, stuttering, and voice. Ms. Riffle noted that Student did not obtain passing scores in any of the sections of the PLS-4, and that District needed to obtain additional information. Ms. Riffle also noted Student’s language sample demonstrated that he was only 20 percent intelligible. 9. Thereafter, Ms. Riffle requested District’s special education coordinator and the school psychologist to attend the March 16, 2011 meeting in order to assist her in explaining the assessment process to Parent. They could also help Ms. Riffle answer Parent’s questions concerning the assessment plan and the assessment. 10. On March 16, 2011, Mary Ann Krating, District’s School Psychologist, and Ellen Anderson, District Special Education Coordinator, attended the meeting with Ms. Riffle and Parent. The purpose of this meeting was to discuss the assessment plan, and to obtain Parent’s consent to conduct further assessments. Ms. Riffle prepared and presented to Parent the assessment plan. Ms. Krating and Ms. Anderson reviewed the assessment plan with Parent, and provided her with a notice of Parent Rights and Procedural Safeguards. 11. The assessment plan proposed to assess Student in the following areas of suspected disability: Academic/Preacademic; Social and Adaptive Behavior; Psycho-Motor Development; Intellectual Development; Language/Speech Communication Development; and Health. The assessment plan identified the school psychologist, speech and language pathologist, and the school nurse as the evaluators. 12. Parent refused to sign the assessment plan because the plan proposed to assess Student in the area of cognitive ability. Parent told District that her preference would be to have a cognitive ability assessment done outside of the District because she felt an independent assessor would be more reliable. Ms. Krating informed Parent that the cognitive assessment, as well as the academic and behavior assessments, was necessary in order for District to know the level of Student’s preacademic, motor, social, and adaptive skills. Ms. Krating further explained that the information was necessary to get a picture of Student’s cognitive abilities in order to develop an appropriate program for him. Parent was not persuaded and would not consent to any part of the proposed assessment plan. 13. On March 17, 2011, District wrote Parent requesting her consent to the assessment plan. Parent replied on March 27, 2011, and informed District that Student had already been given the language assessment on March 9, 2011, and that no further assessments were necessary. 15. At hearing, Parent testified that Student had been attending a private preschool, but Student was no longer enrolled due to financial hardship. She wanted District to provide speech and language services to Student. She explained that she did not want District to conduct a cognitive assessment because she believed District might determine Student was mentally retarded or autistic and she did not believe that he had such disabilities. As such, she told District that if such assessments were necessary, she wanted a private assessor. Parent offered no explanation of why she would not consent to a health assessment. Parent expressed reluctance to have Ms. Riffle conduct a further assessment, because Ms. Riffle had difficulty understanding Student’s speech during the March 9, 2011 screening. This caused Parent to question Ms. Riffle’s qualifications. Parent also testified that she believed Student had already been assessed for speech and language services on March 9, 2011, and determined eligible to receive special education services. She stated that Ms. Riffle told her that District could waive the assessment of all areas of suspected disability so that Student could obtain speech and language services, as well as placement in a District school program. However, Parent was not credible in her testimony concerning her understanding of the effect of the preliminary evaluation. Parent also was not credible concerning her testimony that District would allow her to waive a comprehensive assessment in order to obtain speech services for Student. As discussed below, her testimony was not confirmed or corroborated by District personnel and Parent was aware of special education assessment procedures because she had another child who was receiving special education services at a District school. Because of Parent’s knowledge of District’s assessment procedures it was not reasonable for Parent to believe that a speech screening could result in an eligibility determination for Student. 16. Ms. Riffle, who testified at hearing, has a bachelor’s degree and a master’s degree in speech and language pathology, and has a certificate of clinical competency in speech and language pathology. She has been employed as a speech pathologist with District since 2006, and has conducted over 400 to 500 speech and language assessments in the course of her career. During her discussions with Parent, she explained the purpose of the preliminary evaluation, and administered all test instruments in Parent’s presence. She advised Parent of the assessment results, and told her that further evaluations were necessary. As such, she scheduled a meeting with Parent for March 16, 2011, so that Parent could sign an assessment plan. She answered Parent’s questions about District’s programs; however she, at no time, told Parent that Student was eligible for District’s programs and services based upon the preliminary evaluation. She also never told Parent that Parent could waive a comprehensive assessment so that Student could begin receiving speech and language services. Ms. Riffle’s testimony was credible and persuasive. 17. District’s Special Education Director, Dr. Rita Pierucci, met with Parent on April 25, 2011, to obtain her consent to the entire proposed assessment plan. Dr. Pierruci, who provided credible testimony at hearing, was familiar with Parent because Parent had another child receiving special education services in a District school. Dr. Pierruci explained that Parent was familiar with District requirements, as she had been through the assessment and individualized educational program (IEP) process with her other child. Regarding Student, she explained to Parent that District was required by law to evaluate him because of the referral from KCSOS for determination of eligibility for special education services. She told Parent that the March 9, 2011 preliminary evaluation was only a screening tool to determine the need for a complete assessment. She further explained that a health assessment was necessary because Parent expressed concerns during the intake interview and at the preliminary evaluation about Student’s speech and the need for ongoing speech and language therapy. In addition, Parent reported that Student was hyperactive, that members of her family, including Parent, had learning disabilities, and that Student had a sibling with autism. Dr. Pierucci also explained to Parent that the results of the preliminary evaluation required District to obtain additional information on Student through a more comprehensive multidisciplinary assessment, followed by an IEP team meeting, which was required before District could offer Student a special education program and services. Dr. Pierruci also advised Parent that although Ms. Riffle was highly qualified to administer an assessment, she would assign a different speech pathologist to conduct the speech and language assessment. Parent still refused to consent to an assessment of all areas of suspected disability proposed in the assessment plan. 2. District contends that it has a legal obligation to search and serve students within its jurisdictional boundaries who are determined eligible for special education services. In this case, based upon the KCSOS referral, District’s preliminary evaluation, and Parent’s information and request for services, District has an obligation to assess Student in all areas of suspected disability. As such, District seeks a determination that it may assess Student without Parent’s consent. 3. Student contends that District was not entitled to a comprehensive assessment of Student because the only area of possible need identified in the search and serve referral was related to Student’s possible speech and language deficits. Student further contends that Parent has or would consent to private assessments by non-District personnel. 13. District has met its burden by a preponderance of the evidence that it was required to conduct a comprehensive initial assessment of Student in all areas of suspected disability. First, the KCSOS referral of Student for evaluation triggered District’s obligation to assess and evaluate Student’s needs, as the referral caused District to have reason to suspect a disability in Student, and reason to suspect that special education services may be needed to address that disability. Parent confirmed District’s suspicion when Parent advised District that she was concerned about Student’s speech and language deficits, as well as Student’s tendency to be hyperactive. In addition, the evidence showed that Parent was interested in seeking special education services for Student from District, but was not willing to have Student assessed in all suspected areas of disability. 14. Second, the credible testimony of Ms. Riffle and Dr. Pierruci established that the preliminary evaluation or screening was not a comprehensive assessment, and was conducted for the sole purpose of determining whether a further assessment, including a health assessment, was required. The results of the preliminary evaluation indicated that further and more comprehensive assessments were necessary in order to identify Student’s needs, determine if he was eligible for special education, and if so, to develop an appropriate program and services for him. Specifically, Student’s speech, language, and articulation deficits apparent in the test results, as well as Student’s family history for autism and learning disabilities, and his reported hyperactive tendencies, establishes that more comprehensive assessments were necessary. 15. Third, the evidence also established that District complied with the legal requirements of notice to Parent when it prepared and presented to Parent a detailed and understandable assessment plan. District also provided Student with notice of Parent Rights and Procedural Safeguards. Parent’s refusal to consent to the assessment out of concern that District would determine Student was mentally retarded or autistic did not eradicate District’s legal obligation to assess Student. 16. Fourth, Parent’s testimony that she was misled by District’s representations at the March 9, 2011 preliminary evaluation meeting was not credible. The evidence established that District provided, and Parent signed, the preliminary evaluation form consenting to the preliminary evaluation, and participated in every aspect of Student’s evaluation on that day with Ms. Riffle. However, contrary to Parent’s assertions that Ms. Riffle told her she could waive a comprehensive assessment and that Student was now eligible for a District special education program for speech and language, the evidence established that Parent was familiar with the assessment process and that an IEP was required before a child with a qualifying disability could receive special education services. 1. District may assess Student in all areas of suspected disability in accordance with the assessment plan dated March 16, 2011, without parental consent. 2. Student is ordered to submit to a comprehensive assessment by District in accordance with the assessment plan dated March 16, 2011, within 30 days of the date of this Decision. Education Code section 56507, subdivision (d), requires that this Decision indicate the extent to which each party prevailed on each issue heard and decided in this due process matter. District prevailed on the sole issue.